325 shots. 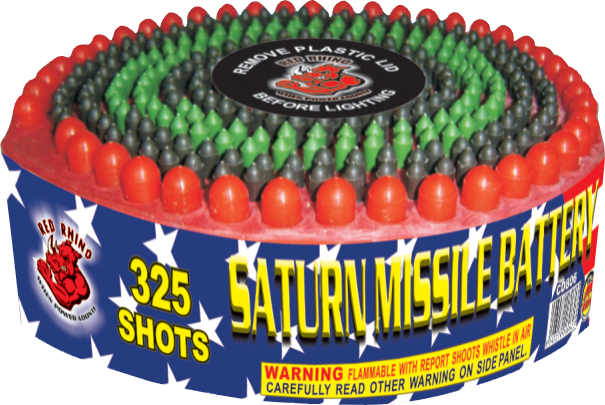 Large and small multi-colored missile shots with white comet to crackle, red tail to crackle, multistage whistle to report, and multi-colored comet to crackle. Different sized missiles add to the variety of whistling and screaming effects.